A scanner reading this barcode will output “[C101189010720001501719083110LM123”. The symbology above is Code 128 which has 106 different symbol patterns in it’s character set, three different start characters, three subsets (A,B, and C), and four function characters (FNC1 to FNC4) that are not printable that are used for special functions. All GS1 barcodes start with a Start C symbol followed by a Function 1 character; scanners are supposed to interpret this a “[C1”, which indicates to the receiving software that the code follows GS1 rules. The three pairs of characters enclosed in parenthesis are Application Identifiers; they tell the receiving software what type of data follows. Note that the parentheses are in the human readable only, they are not in the bar code itself. 10 – is a lot number, which is variable length field. Note that if a variable length field (or more precisely, if the FNC1 is required by the GS1 tables) is in front of another field, a separator character must be used to signal the end of the field. This character can be a FNC1 or and ASCII group separator character (Hex 1D). 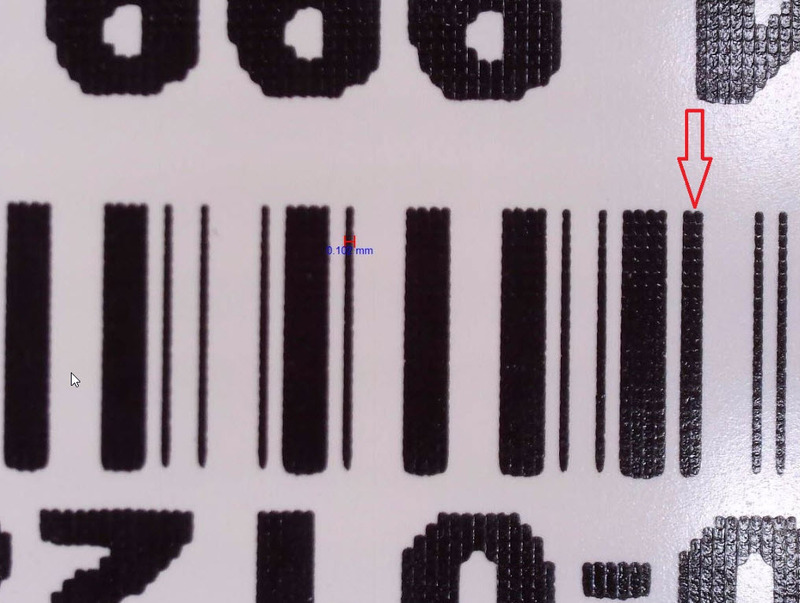 GS1 barcodes can also be Datamatrix codes; they follow the same rules as Code 128 except that the first three characters output are “[d2” instead of the “[C1” for Code 128. 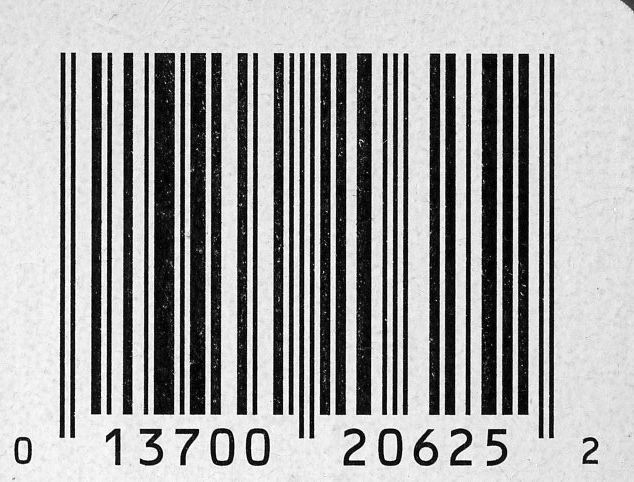 There are over a hundred of types of 1D barcodes, but only a few are commonly used today. These are Code 128, Code 39, and Interleaved 2 of 5, with Code 128 being the most common and Interleaved 2 of 5 (I 2 of 5) the least. Less common 1D codes still used today are Codabar, Code 93, Code 11, Two of Five, and MSI code. 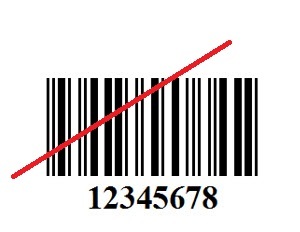 2D barcodes are becoming more popular; I’ll write about them at a later date. 1D codes only contain data in one dimension, in the widths of the bars and spaces. Code 39 and I 2 of 5 only have two different widths of bars and spaces. If it has more than two, it’s usually Code 128, which uses four different widths. UPC uses four bar widths too, but you can usually recognize UPC from the guard bar patterns. If the code only has two widths the next thing to look at is the start/stop patterns. The first (and last) five bars in a Code 39 symbol are narrow, narrow, wide, wide, narrow. I 2 of 5 starts with two narrow bars and ends with a wide and narrow bar. I 2 of 5 is numeric only, so if the code has two bar widths and alpha characters, it’s probably Code 39. Note that the start or stop pattern in I 2 of 5 is not unique and can easily be found in the symbol itself, making this code vulnerable to short scans. The red line below represents a laser beam from a scanner going across an I 2 of 5 symbol: The laser exits on a wide and narrow bar pattern that could be interpreted as a stop code, resulting in a short scan. You’ll often see I 2 of 5 printed with bars above or below the code, called bearer bars, to prevent short scans. Most scanners can be set to read I 2 of 5 as fixed length codes, preventing the short scan issue. Here’s a tip: To find out how many characters are in an I 2 of 5 symbol, count the number of bars, subtract 4 (for start/stop) and divide by 2.5. For example, the symbol with the red line through it about has 24 bars, so 24 – 4 = 20, divided by 2.5 gives you 8. Another method of eliminating short scans is to enable a check digit in I 2 of 5. Always enable a check digit if you are going to read variable length I 2 of 5 symbols. I’ll cover Code 39 and Code 128 in more detail later. 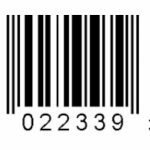 UPC is an abbreviation for Universal Product Code. It uses four different bar and space widths and encodes each number using two bars and two spaces. 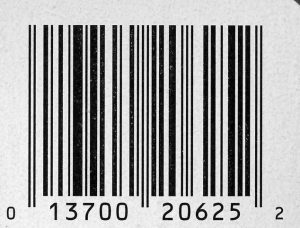 We all can identify UPC-A (at least in the states) with its telltale guard bars, the 12 numeric characters printed in groups of 1, 5, 5, and 1. These numbers are the system digit, manufacturer’s code, item ID, and check digit respectively. The guard bars are the two lines that are longer than the rest at the beginning, middle, and end of the symbol. The guard bars can be considered as start and stop code and don’t encode any data. There was some talk about UPC being the “Mark of the Beast” mentioned in the book of Revelations because the number six, when printed on the right side of the symbol is two narrow bars, so the conspiracy theorists thought UPC secretly contained “666”. I occasionally got questioned about this at trade shows. 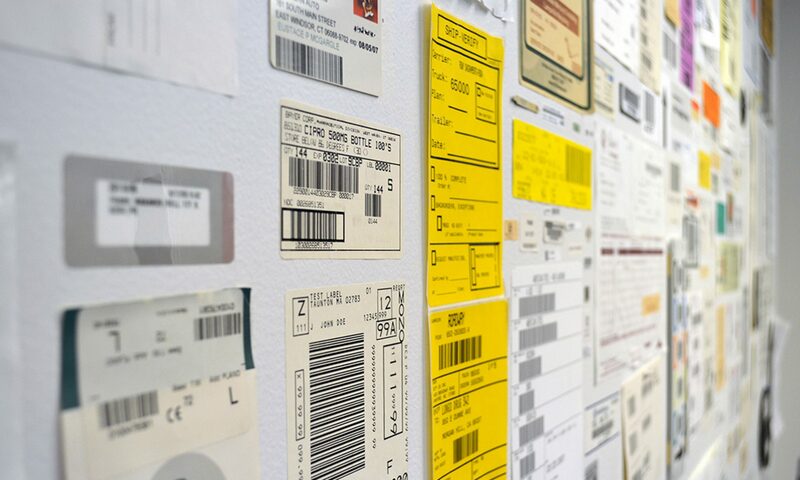 The first three digits in an EAN code indicate the country code and unlike UPC, the manufacturer number and item number are variable length. 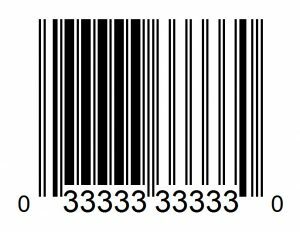 Notice that there are 13 numbers in an EAN code even though there are the same number of bars as spaces as a UPC-A code. 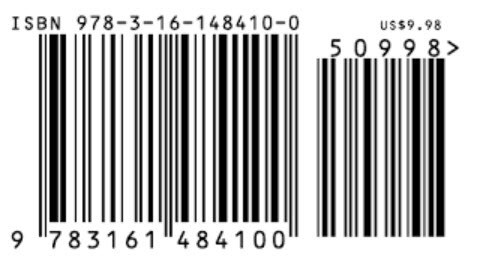 UPC numbers have left and right parity; so a digit printed on the left side has a different pattern when it is printed on the right side. The extra number is encoded by varying the parity pattern on the left part of the EAN symbol. There is also EAN-8 and EAN with supplemental codes that are similar to UPC-E and UPC with supplemental codes. 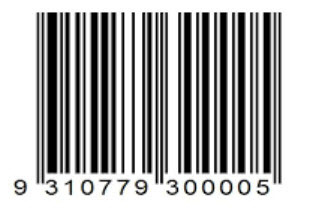 The first digit in the supplemental code indicates the currency type. Check this out next time you buy a book. There are other versions of UPC, but they are pretty obscure. RSS (Reduced Space Symbology) is also being used in retail applications. For more on UPC check out ADAMS1 and the GS1 organization. These are a couple of old circular bar codes, dating back to the 1970’s. The first example was used to track totes filled with tape measures and divert them to the proper gate on a conveyor. The computer system that this symbol was used with was a Computer Identics laser scanner attached to a DEC PDP-8 with Plessey MOS memory and a ‘flip chip’ card decoder on a separate backplane. The scanning software loaded via a paper tape reader. This is a binary encoded symbol with a value of ‘72’. The laser scanner only read half of the label, and after it was decoded, the computer diverted the tote to the gate associated with the value 72. 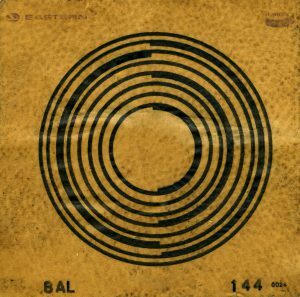 This was one of the oldest bar code systems that I have worked with. The next example is called ‘Split Circle Code’. It was developed in 1974 by Bendix Recognition Systems. 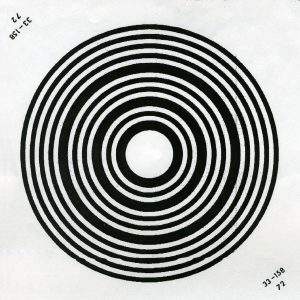 The circle was split in half, with each half encoding part of the symbol. This type of symbol required that both halves of the circle be read, so there were orientation issues that had to be dealt with in order to get good reads. Bendix encoded these symbols as BCD (binary coded decimal) values and they were printed by Bendix printers. This example was used in a baggage handling system at Eastern Airlines which used a Bendix scanner to read the labels at a rate of 70 bags per minute. You can still see the texture of the luggage that the label was applied to. Apparently, many customers had complaints about the adhesive residue left behind when the label was removed and this ultimately led to the demise of these scanning systems. You can see that UPC is made up of 12 numbers. We’ll ignore the first and last numbers for now and just pay attention to the middle 10 digits. The first five digits are assigned to one manufacturer. These manufacturer numbers are centrally managed, assigned, and sold by Global Standard One, or GS1, a non-profit organization. GS1 was formerly known as the UPC Code council. Once a company is assigned a UPC code it’s up to them to assign the last five digits to their products as they choose. The company then informs GS1 of these product code assignment and GS1 adds them to its master database which is made available to third parties, like your local grocery chain to do look ups at their cash registers. A UPC code is really a pointer to a record in the GS1 data base. The description and price are returned from the database lookup. This was done to allow omni-directional scanning with early supermarket scanners. These were often just a couple of laser lines that intersected at 90 degrees, like a plus (+) sign. Because the numbers were encoded differently on the left and right it allowed scanners to read the symbol a half at a time and put it together before transmitting. Each half of the symbol is taller than it is wide (oversquare) so it’s guaranteed to completely pass through one of the laser lines in a single pass.